The chief manager of the North Korean guesthouse where South Korean President Moon Jae-in stayed with his wife during his visit to Pyongyang was executed in public for embezzling some $3 million, a local daily here reported Tuesday. 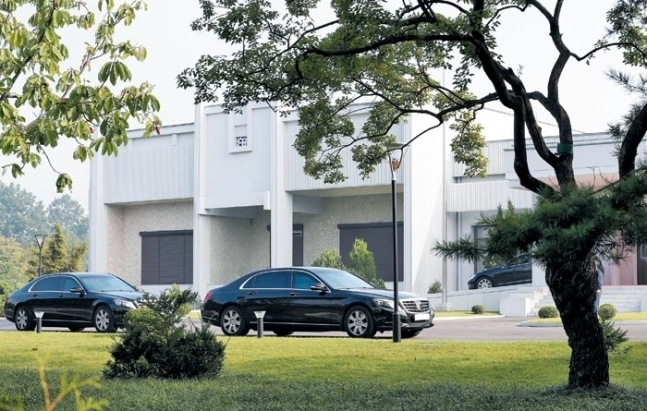 The chief manager of the Paekhwawon State Guest House, whose name was not revealed, was executed in public in December after being convicted of multiple offenses, including embezzlement, according to the Chosun Ilbo newspaper. According to sources, his wrongdoings were discovered during a crackdown by the Worker’s Party of Korea in October. The Paekhwawon State Guest House is affiliated with the Supreme Guard Command, which protects North Korean leader Kim Jong-un’s family and the leadership. “During the crackdown, $3 million was found in the manager’s house. The chief was also convicted for causing scandal with several female workers in the guesthouse,” a source was quoted as saying in the daily. Officials from the Supreme Guard Command, as well as the military and the ruling party, took part in the public execution in central Pyongyang. The guesthouse chief reportedly amassed the money during the remodeling it underwent before Moon’s visit. According to the quoted source, the North Korean leader fumed and ordered a crackdown when the chief charged a huge sum of money for the construction.